It is very easy to start a blog but getting traffic, making money from blog and most importantly saving that money is the big thing. In this post, I am going to talk about few best money saving tips for bloggers. While starting a blog, every newbie faces issue regarding budget, knowledge and resource crunch. Well, these are very generic questions and everyone face. Even I did too. Especially the last one where I was unable to save much money earned from blogging. Then I tried many things and started making a to-do list and found significant improvements. Here in this blog post, I am going to list the main seven main points which helped to save more. 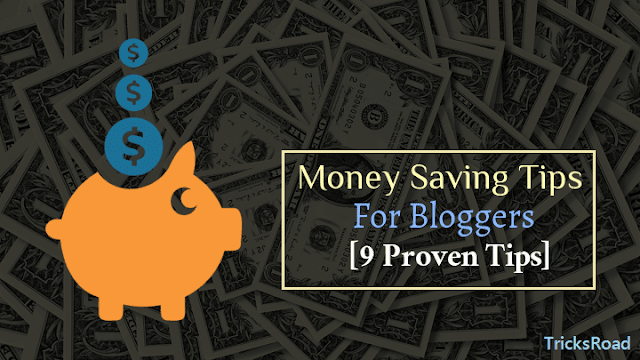 I am sure this Nine money saving tips for bloggers will help you as well. Let’s start with some of the best money saving tips for bloggers. You will find many bloggers or people living online life complaining about the saving and this post is for all those who wish to save some amount. Usually, bloggers keep on searching the best blogging tools which can save their time and provide maximum ROI. But as the price of internet marketing tools is high and so many are unable to buy. The best option for this is the combination of free tools which complete the same requirements. For example, let’s say you need some software like Grammarly. Also, Grammarly provides many features apart from the main grammar checking like plagiarism checking, etc. which is available in only premium version. Again the Grammarly Premium is available for at least $11.99 when you will buy their yearly plan, but everyone can’t afford this. Even you can use Grammarly premium free, but that is for only one month. The best alternative to this is, use the free version of Grammarly and then use any plagiarism checker tool for plagiarism. During some holidays or events, manufacturers provide huge discounts and deals on their products. Sometimes you may even find the discount up to 85-90% also which is huge. Let’s say some product cost around $100, and if you’re able to grab a discount of 90%, then you are getting at just $10. 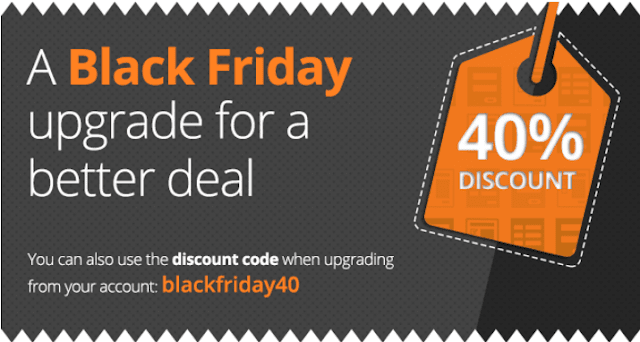 You may find a bigger discount on Black Friday, Cyber Monday, New Year, Easter, Christmas, etc. Coupons are the excellent way to save money on online transactions. You can get some lucrative offers and discounts using coupon codes. There are multiple coupons sites where you can visit to get the coupon codes for a discount on any product you are purchasing online. Recently, when I was buying hosting, I got a deal for 20%. I was about to make payment and simply checked coupons to get some additional discount and found a deal of 20%. To get the best coupon just search “product name+ coupon” in Google and you will find hundreds of website offering coupon code. Just go through the description of the coupon and if it is suitable for you, copy it and apply. For examples, if you are looking for American Swan coupons, just search this keyword in Google and get all the available codes. Similarly, you can also search for “product name + offers”. For example, Ajio offers to get the offers available on Ajio. You can also check our Tesla Theme coupon code and UniHost Hosting Review for the offers on WordPress theme and hosting. Giveaway and contests are a good and smart way to attract visitors and convert visitors into a subscriber. Many bloggers and internet marketers keep on organizing a giveaway for some blogging tools, Hosting packages to attract some subscribers and promote their blogs and products. You should participate in those contests to get a chance to win the tools. Such contests just ask you to like on Facebook, Tweet and/or subscribe which won’t take more than a couple of minutes. 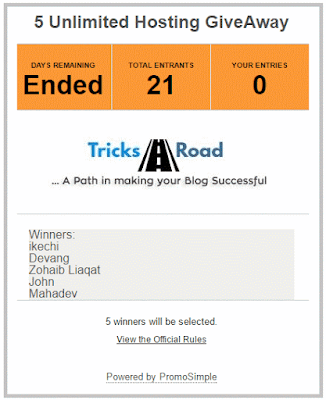 In response, if you will win the giveaway, you will have amazing blogging tools to use. You must be hearing bloggers getting some gift from companies and PRs’ to promote their brand and products. Some companies ask you to write a review about the product and promote it in your network in exchange for some gift which may be the product. 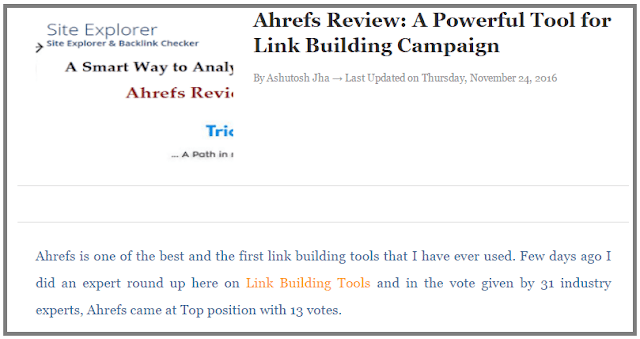 You can approach the company which manufactures the tool you are looking to get and contact for the free copy and in response to a review post on your blog. Recently I wrote a blog post on how to get Grammarly premium free where you can see how to approach a company to provide your free premium access to their product in exchange for a review on your blog. The benefit of this method is, you can also earn from an affiliate. If someone buys from the affiliate link of your review, then you can make a certain percentage of the sale amount which usually varies from 10-80%. Let’s say there are some products which you are not promoting and want to buy such products? In such cases, check your friends’ blog or fellow bloggers’ blog. If someone from your group is promoting, just check how much affiliate commission company is providing in that product. Let’s say it is 50%. Now approach that particular blogger and say you want to buy it from his/her link but want some part of the commission (e.g. 20-30%). Your friend will never ignore such offers as he/she will also make some commission and you are also getting good deals. The only thing you need to take care here is, the other person should be your close friend, or you have done any form of business together due to obvious reasons. You will always find companies providing great deals on long time subscription. For example, if you will look at the Ahrefs subscription, you will find 20% off on yearly subscription, and this is not just with Ahrefs but almost all the products. So if you have tried the product and you feel that it worth in the long term consider buying it for longer. But before buying any product for a longer period, ask some questions to yourself to avoid unnecessary expenses. For how much time you need? Many bloggers are struggling when it comes to the investment of the money they earned from blogging. Usually, if you will see government employee investing, they don in FD or LIC, so similar fixed return funds. While IT or corporate sector employees tend to do in SIP, mutual funds, etc. apart from the traditional investment. I have seen blogger also investing in Bitcoins, Bonds, etc. So the main thing is to diversify your investment and spread it across Fixed Deposits, PPF, Bonds, ELSS, Mutual Funds and Equity Market. If you are a full-time blogger and feel working at home decreases your productivity then it’s time to move ahead and find a dedicated space for working. Well, for many people get a dedicated place for working can be expensive and so a co-working place is highly recommended. Look for a co-working space like 91springbooard, Innov8, etc. where you will be issued a pass for daily/monthly/yearly basis as per sheet and facilities you require. You can also get the space in partnerships. For example, you are working in the day time and so you can allow someone else (e.g. small call-center) to use the infrastructure and space during the night and can share the cost. There are some companies which provide few sheets on a monthly basis at some cost. By this way, you can increase your productivity at less cost. 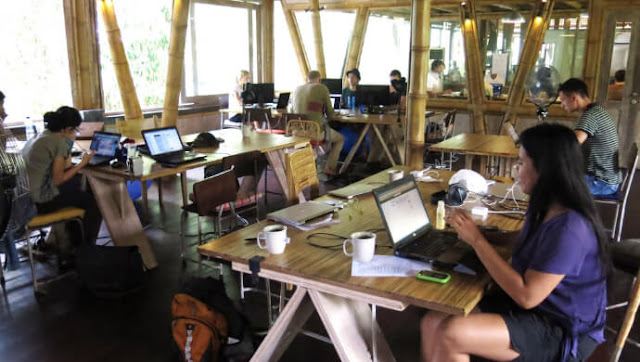 Here is an interesting stuff related to co-working spaces. Saving money is crucial for everyone, and you should make it a habit like you earn. I have tried to cover all the important aspect of money saving tips for bloggers, and I am sure these will help you. Don’t buy the stuff you don’t require and try to invest the money earned as much as you can. A start with the saving account can work better. Also, try the trial period of any product before buying it for the long term. Use PPF, NSC, and LIC for tax exemption, etc. I will love to know what you to save money. Also, do share if you have a fantastic money saving tips for bloggers like you and me.